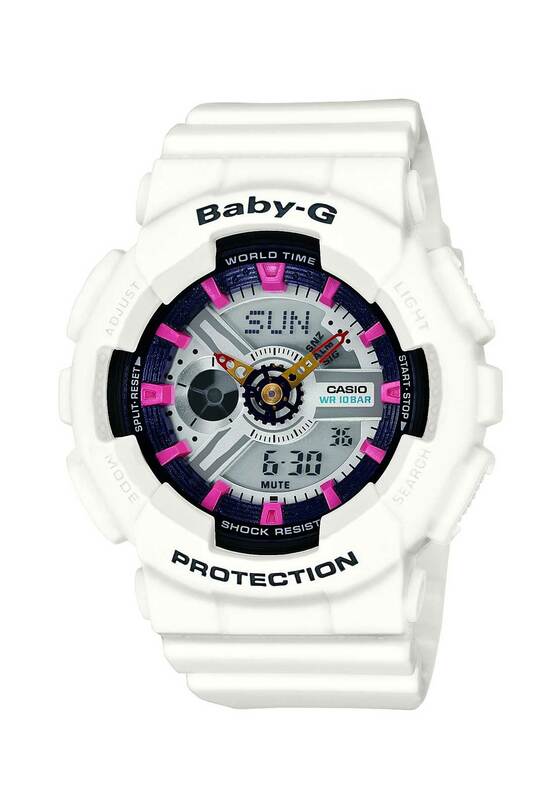 Super cute, this white Baby G Watch from Casio with pink hour markers features a stainless steel and resin case and is powered by quartz movement. 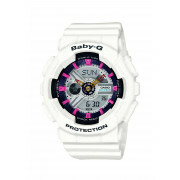 It fastens a white plastic/resin strap and has a bright LCD dial. The watch has a date function, and an alarm, ensuring you never miss a beat.